A growing business accumulates a lot of content which is scattered through the organization. The unorganized content needs to be organized to be published in a simple and sophisticated form. Such organization with bulk content would need a content management system that is capable of managing and publishing content with minimum technical requirements. A Content Management System (CMS) is designed to make a website run smoothly with less maintenance and faster process. Businesses use several applications to manage e-mails, documents, tasks and calendar activities, but a CMS can manage all these processes in one. Businesses use several applications to manage e-mails, documents, tasks and calendar activities, but a CMS can manage all these processes in one. SOUTECH’ strength lies in open source. Being a trusted leader for open source development products, SOUTECH offers its clients and partners highly customized, business friendly, effective, and scalable CMS solution for their business. Our team is committed to providing innovative designs and third party integration with the newly built CMS for your business with unrivalled services. Why CMS is Important for Your Business? Drupal is the most secure, robust, scalable and preferred open source CMS platforms and has been powering thousands of busiest websites across the world. It has been adopted by millions of users and ample of government websites are running on Drupal. Drupal repository is inundated with extensions and plug-ins to meet any business needs.Simple installation and easy customization has made it numero uno. WordPress is world’s most used blogging software and online publishing platforms available today. This powerful CMS is capable of developing websites of international standards. It is free to use and easy to install as well as compatible with most of the platforms available today. WordPress has 54% of market share with millions of users. WordPress is social media friendly and has recently launched its retina-ready admin feature and responsive modules. Undoubtedly, Drupal is immensely popular and the most effectively used CMS platform available. With 700,000 plus users, Drupal has become the third largest CMS today. Drupal has become synonymous to CMS development for businesses of diverse nature across the globe. Some of the largest websites of the world are running on Drupal along with government as well as the sites with high volume traffic. .
SOUTECH, for years, have being providing innovative and cost-friendly Drupal CMS development services to its clients across verticals and domains. We realize the importance of an effective user friendly CMS for our partners in order to gain improved efficiency and productivity. For this, our Drupal developers from Nigeria are committed to providing you the best Drupal development solutions for your organization to maximize the benefits of Drupal platform. What makes SOUTECH a trusted leader is its capabilities to create CMS based websites, socially integrated websites, eCommerce, and extensions for special features of your business. Our Drupal developers not only create an effective CMS based website for your business, but give aesthetically beautiful look to your online presence. Our Drupal developers carry years of experience and have ample exposure to various industries ranging from retails to entertainment and telecommunications to hospitality and education. Explore opportunities with us. There is no doubt that Joomla is the most popular CMS available today due to its extreme flexibility and compatibility with third-party applications. It allows organizations to customize their CMS the way their business requires. Joomla features with database driven site engine and fully customizable modules and templates. It helps reduce data redundancy and improves process of publishing and social media integration. Other feature that draws attention is it extensibility and user-friendliness. User experience gives Joomla an edge over existing major CMSs available today. Joomla developers have taken care of all the business requisites and future technical demands to make Joomla an ultimate choice. SOUTECH is a full-fledged Joomla development company based in Nigeria that offers solutions to its clients from customization, integration and support solutions to maintenance. Our Joomla developers in Nigeria work with the clients to understand the business requirements and draft a final mock-up based on the analysis for approval. We, at SOUTECH, value the importance of time and money; hence we are committed to providing unmatched services to our clients and partners. Allow us to create your Joomla based CMS website into an aesthetically beautiful and powerful web presence that none of your potentials or existing clients can keep their eyes off. WordPress, the leading blogging tool, is licensed under GPL and written on PHP and MySQL. Undoubtedly, it has become the world’s most popular open source based blogging platform with millions of users as bloggers and website owners. WordPress technologically is a very robust open source platform that allows a non-technical user to upload a web page or make changes to the existing content and media easily. With the release of their latest version 3.8, they have brought revolution in responsive web designs as they have launched retina ready features. This feature has enabled mobile users to browse through websites with brighter images and text than earlier. WordPress comes in two versions; one that is self hosted (WordPress .org) and other is hosted at WordPress (WordPress .com). Being an open source leader, SOUTECH has its extensive experience in WordPress CMS development. We have designed and developed numerous WordPress based CMS and websites for our international clients allowing our clients to upload pages easily. Our WordPress developers from Nigeria are highly qualified and experienced in developing a comprehensive solution that is effective and equally competent. We strive to provide our clients with solution that is of international standards and mobile friendly. SOUTECH has some of the best WordPress CMS developers and programmers who are years of experienced with numerous successful CMS projects to their credit. They have business acumen that helps them understand our clients’ business in order to create a powerful and business centric CMS for their business. SOUTECH offers flexibility in hiring our WordPress experts. You have the option to hire our developers part time or full time. Our dedicated WordPress developer works only on your project until he finishes. Security and quality is guaranteed! 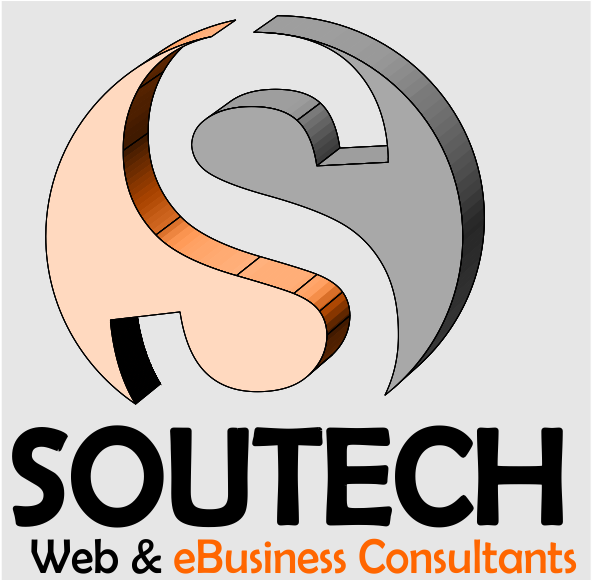 SOUTECH is primarily an Information Technology Firm which has been in operation for over 10 years, created to be the numero uno in business promotion development & implementation, eBusiness & IT systems integration and consultancy industry of the Nigerian Economy and to partners worldwide. © Copyright 2007- 2018. All Rights Reserved.